As an early adopter of Twitter, I have to say that the hashtag is near and dear to my heart. For those of you unaware of the revolution that is the hashtag, formerly know as the pound sign (#), let me be the one to inform you of the great power it has come to know. Now the hashtag’s power extends to more social communities like Instagram and Facebook, wielding power to bloggers, small businesses and social gurus to connect communities with one word or phrase. With that power comes much influence, and influence is everything in social media. Each platform has its own intricacies so there isn’t one specific answer to this question that will take care of your social media efforts. The evolution aside, I still whole heartedly consider the hashtag an art form. Unlike some types of artistry, the hashtag can be learned rather than relying on shear marketing talent. I’ve seen plenty of posts from well intentioned marketers telling the reader they should use hashtags, frequently use them across all platforms and with little thought behind them. While these “tips” can be a great angle for your social media, that view is vastly different from mine (and ours). So if you’re curious on how to use a hashtag for yourself or business our agency is here to help. Live tweeting, whether it be a conference or social event, is a great way to not only promote an event, but also to form real connections and a future community. Often events will have an official hashtag that they ask attendees to use when posting to social media. Those searching that specific hashtag are able to see what people are saying about the speaker, food, etc. This is a great way to find people with common interests, or even potential leads for your business. Scroll through the hashtag’s feed and start up a conversation or follow some accounts that you enjoy. Larger metro communities have become more localized with how they market the area. A great example comes from Charlotte, North Carolina where Laire Group Marketing is based. A popular hashtag is #weloveclt and #clt where people share what they’re up to in the city and their favorite Charlotte things to do. DIY hashtags can really take off and elevate your brand. Most generic hashtags have been used so it will take a bit of creativity to nab something that hasn’t been taken. I’m a huge fan of brands that make their own, and encourage their fans to use them. Or even as a way to start a discussion, hashtags such as #WorstFirstDate invite users to share their story, and tag it for a chance to be featured on The Tonight Show. Hashtagging random keywords won’t get you very far. 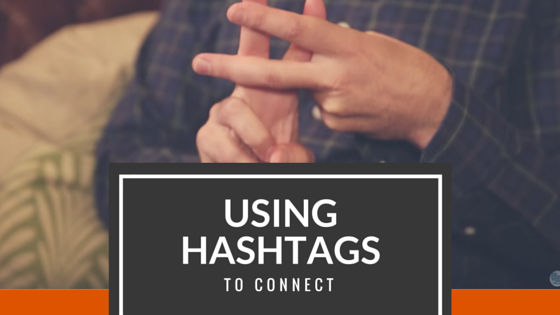 Develop a hashtag strategy based on what your audience is actually using. Don’t assume -- do your research and see how you join in on authentic conversations. As you dip your toe into this social media tool, remember to hashtag responsibly.